With over forty years of experience, Charlie Whitmore is the man behind the Hamptons’ most dynamic and distinctive landscape company. His knowledge of plants and his groundbreaking work as a specimen tree buyer and nurseryman during the ‘80s and ‘90s are recognized throughout the East End’s landscaping industry. 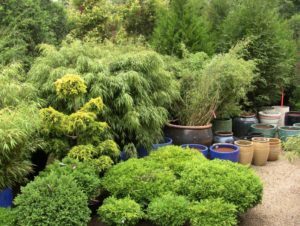 His career has been built on acquiring and cultivating the highest quality landscape materials from premier nurseries throughout the country. Allow Charlie and his team to assist you in creating a landscape that captures your dream… and dramatically increases your property value. With a career in advertising and Spanish as her native language, Chini comes handy in the landscape business. A natural multitask-er who does it all! From managing the retail store to designing flower gardens. 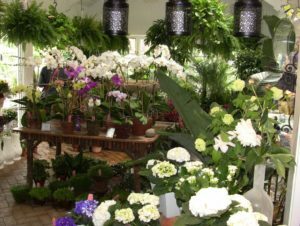 She also organizes weddings and events, orders plant materials and oversees operations. And from time to time she can be found posing with our plant material, for scale… and style.